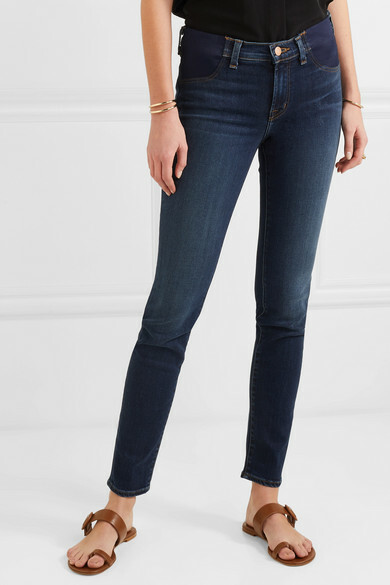 J Brand's 'Mama J' jeans are designed with elasticated panels at the mid-rise waist, so you can wear them comfortably throughout your pregnancy. 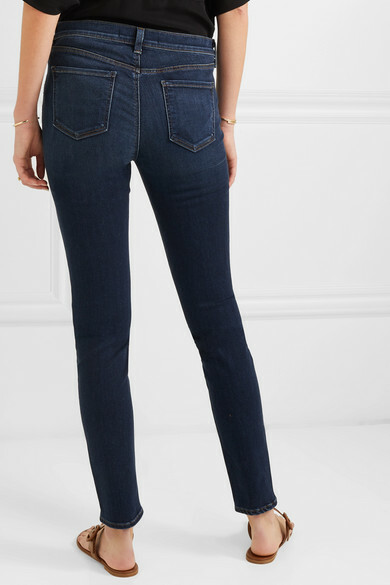 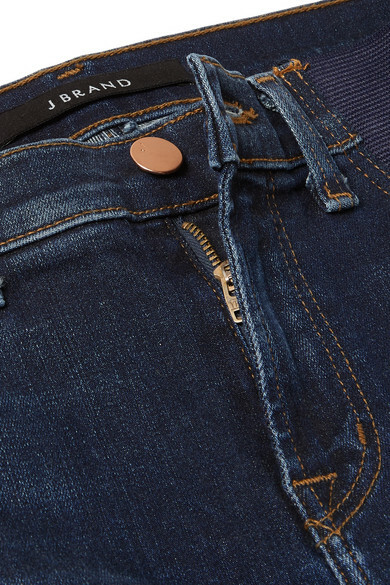 They're made from super soft denim woven with a hint of stretch for flexibility and have a flattering skinny fit. 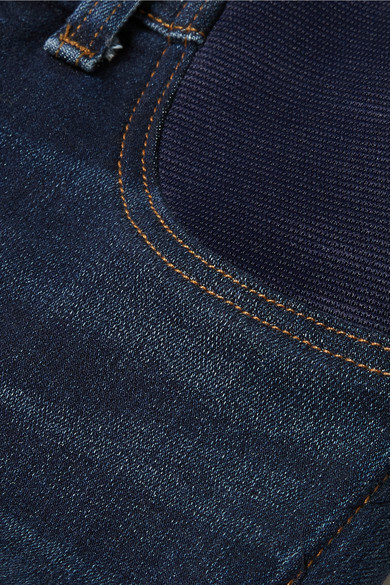 The dark-blue wash is endlessly versatile. 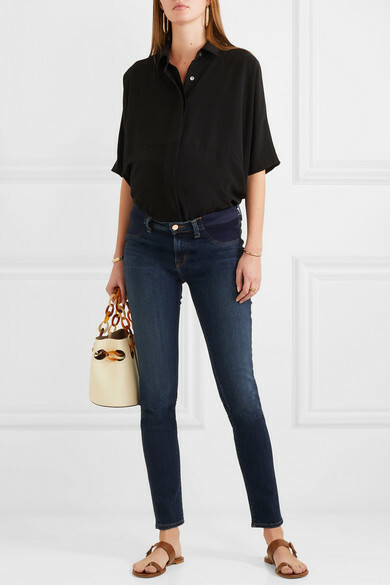 Shown here with: HATCH Blouse, Trademark Bucket bag, Gianvito Rossi Sandals, Paola Vilas Ring, Jennifer Fisher Earrings, Jennifer Fisher Cuffs.